Size: 23.46 x 14.04 mm. 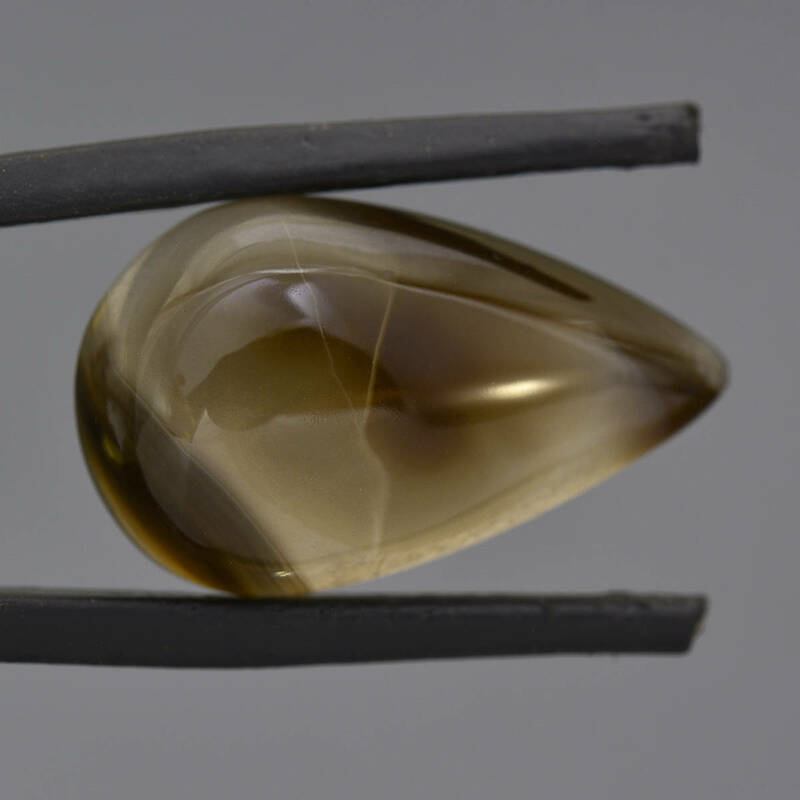 Here is an exciting new material out of Mexico! This is Black Widow Agate! 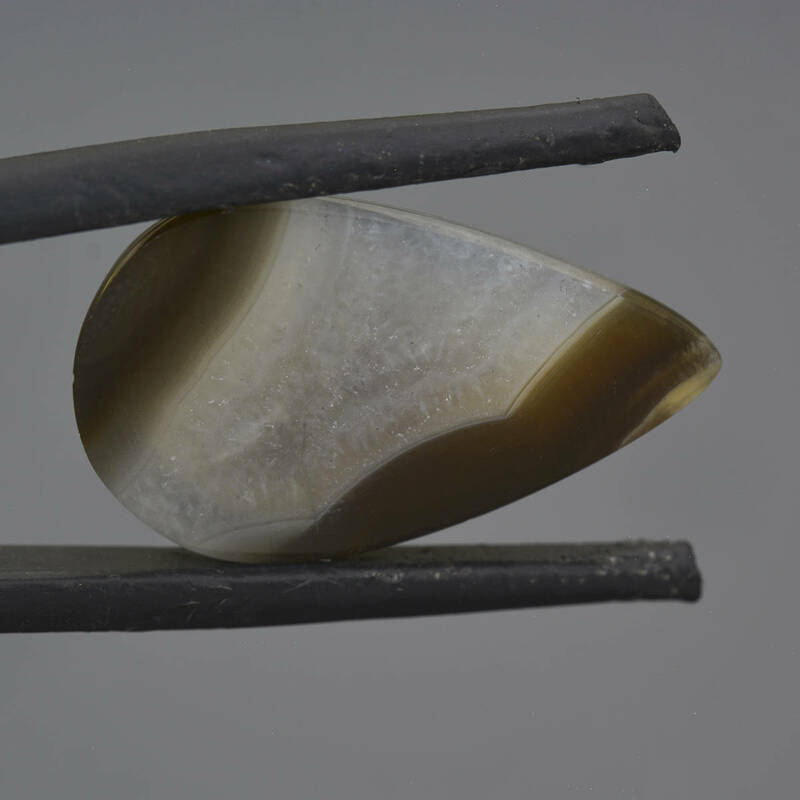 These agates have intricate flowing patterns of black, red, orange, yellow and colorless. Every piece is different and quite special. This piece exhibits a cloud pattern of black Grey mixed through the piece. 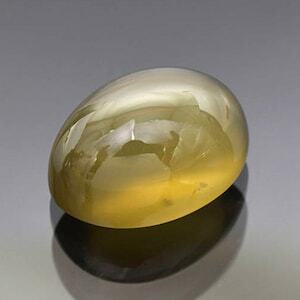 The pear cabochon looks attractive with the cloud patterns across the crown. 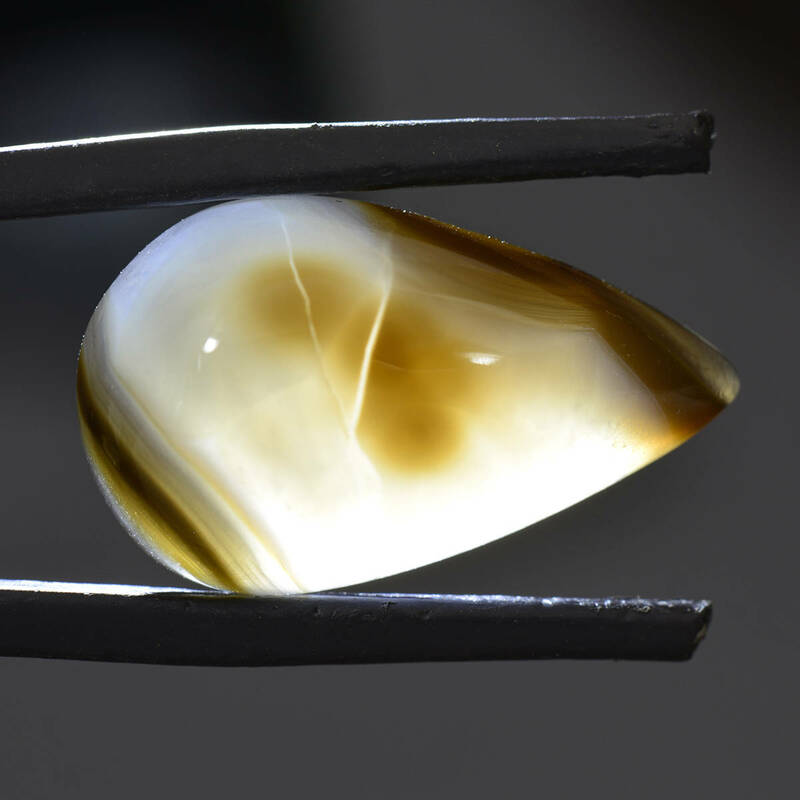 Agate is inherently durable and will last a lifetime. 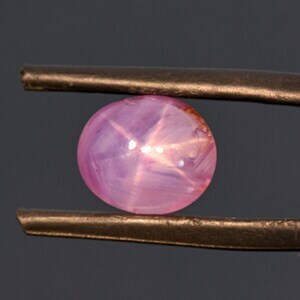 This stone will make a stunning and unique pendant. Enjoy! 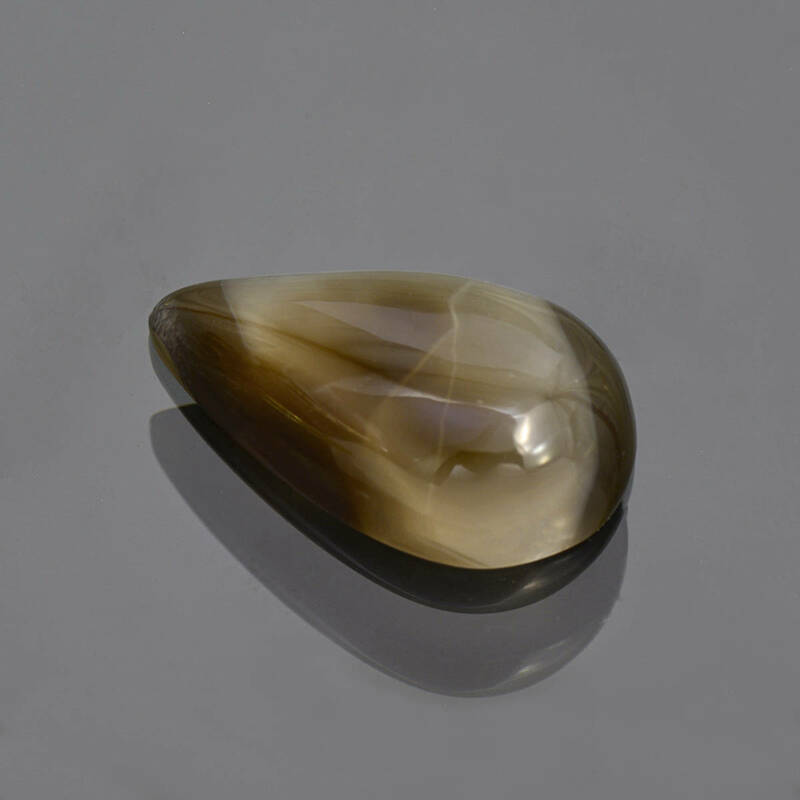 Large Yellow Moonstone Cabochon from India 33.56 cts. 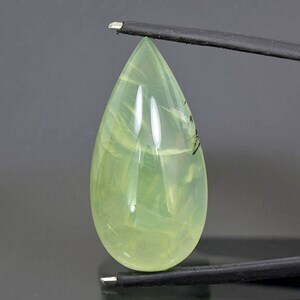 Pretty Green Prehnite Cabochon from Mali 37.16 cts. 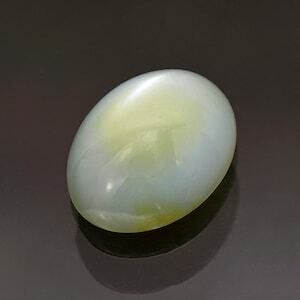 Excellent Blue Green Moonstone Cats Eye Cabochon from India 18.24 cts.